The Moogly Afghan Crochet-a-Long is featuring 24 amazing afghan square patterns between January and November of this year – a new one every 2 weeks. It’s just enough to make a 4′ x 6′ throw! But that means lots of lovely blocks ended up being left out. However! If you want a larger blanket without repeating squares, or if you don’t like one of my picks and would like a substitute, then you’re in luck – because I’ve put together a list of gorgeous and free squares that didn’t make it into the CAL! 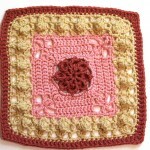 You can pick any of these 10 free afghan squares patterns without worrying that it will pop up later in the year. 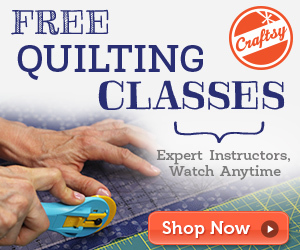 Click on the name of the patterns you like, in pink text – they’re links to the pattern pages! And be sure to check out the Ravelry Galleries for each for lots of great color inspiration! Eight Pointed Flower (no longer free!) 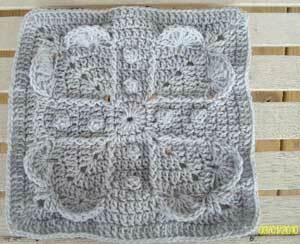 by Julie Yeager, on Ravelry – Julie has so many gorgeous square patterns, I could’ve easily done the whole crochet-a-long with just her squares! 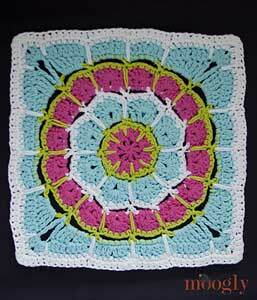 Alas, some had to be left out – but this one would look fantastic in any blanket! 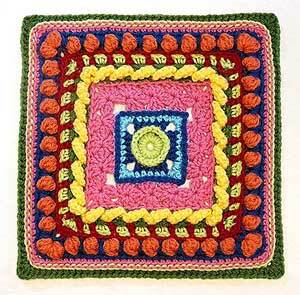 Spring Fling 12″ Square by April Moreland, on Dishcloth Diaries: We’re making a couple of April’s other patterns as well, and as usual this one looks great in a single color – but in the Ravelry gallery there are some multicolored ones that really sing! Beware the Ides of March Afghan Crochet Block Square by Margaret MacInnis, on Ravelry: Margaret’s name will be coming up in this CAL a few times as well! So many talented and prolific designers, so little time! 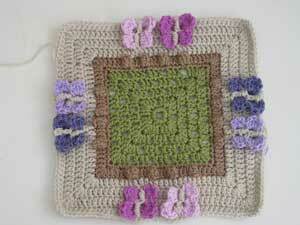 If you want to do a sampler blanket with just one designer’s patterns, she’s a great choice – everything is gorgeous! 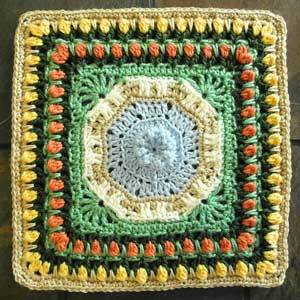 Fountain of Roses 12″ Square by Shan Sevcik, on Ravelry: This one has so much texture, and it looks like it’s a blast to make! 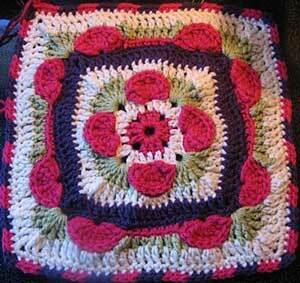 The center comes up just like a fountain, and the “roses” around the border really pop! 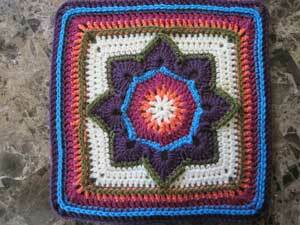 Magic Spike Mandala Square by Tamara Kelly, on Moogly: That’s right, the square I designed is not in the Crochet-a-long… there are just too many patterns by other designers that I want to make! 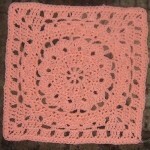 But I do enjoy this square, and I think it fits right in with the ones I did pick. A Caterpillar Life by Jacqui Goulbourn, on Ravelry: This one is wonderfully 3D, with butterflies that pop right off the surface of the square – and it’s inspired by a classic children’s book (one I think I can recite from memory at this point)! Super Sampler by Donna Kay Lacey, on Ravelry: Perfect for everyone doing this as a stashbuster! There are lots of different stitches here and it doesn’t look easy, but she promises a photo heavy tutorial to help you through! 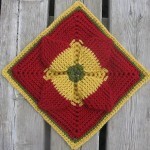 Framed by Funny dieBarbarin, on Ravelry: This square features incredibly unique construction – from the outside in! Lots of photos to help you here too – and inspiration to re-think the “standard” way of doing things! 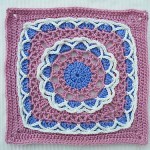 Never Ending Love 12″ Square by Aurora Suominen, on Designs on a Hook: This is another great designer that will be popping up a couple times in the CAL – and I so wish I’d had the space to squeeze in this square! 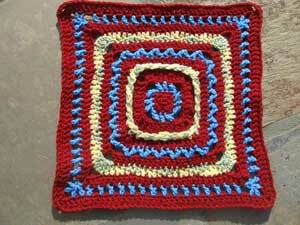 I love the textured design, and every multi-colored square in the Ravelry gallery adds a new take! 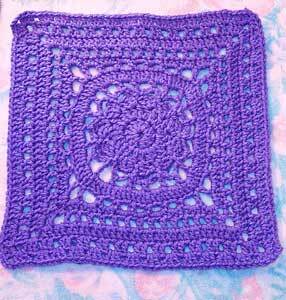 Free SmoothFox’s Amethyst Square 12×12 by Donna Mason-Svara, on Ravelry: One of Donna’s other patterns will be featured on the CAL next month, but this one would be a great addition as well! Her solid version is lovely, as are the stripey ones in the gallery! 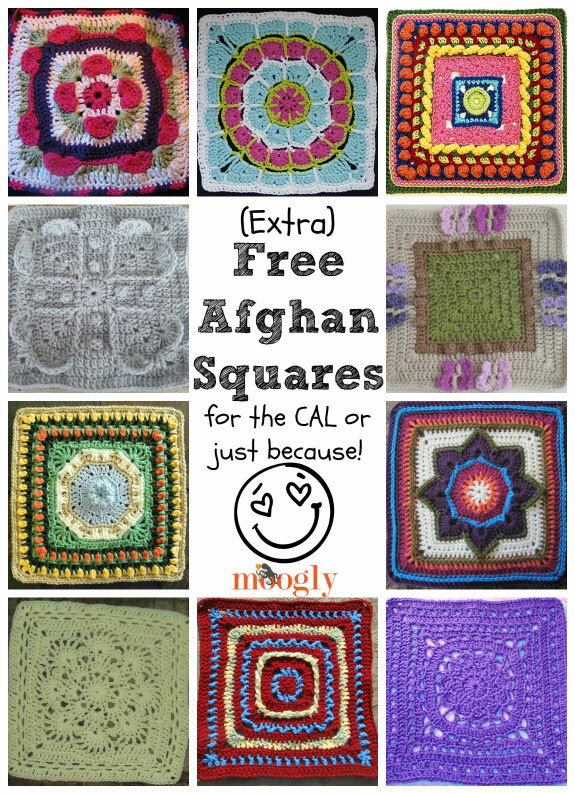 I hope you find some inspiration here in these free afghan squares! Make a bigger blanket or substitute one or more of these for picks I’ve made that you don’t want to do, and you’ll have a gorgeous blanket for sure! This is such a pretty collection. I think I love the #9 Never Ending Love square the best. You have such great taste in pattern selections! Thank you! Thank you so much Romy! 😀 So glad you like them! Thanks so much for these patterns Tamara. They are just what I need,ed, just when I needed extra blocks. You are a mind reader! 😀 I’m so glad you like them Donna! Thank you for the beautiful patterns. I can’t wait to get started! 😀 So glad you like them, Linda! Your blog teaches me a lot and very inspiring. 😀 Thank you so much ana! Definitely not too late – it lasts all year and with only one square every 2 weeks, there’s plenty of time. Welcome aboard!! So many squares, so little time! lol… thanks for these, they’re all wonderful! 😀 Glad you like them Anita! 😀 Thanks Lisa, I hope you do! 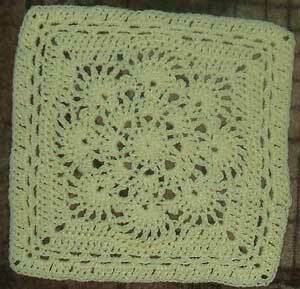 I reallu like the fountain of roses by shan sevic and would like the pattern . how can L recieve it please? Wow, I REALLY like these! This might have to be an additional project. Lots of fun squares here; and one that works its way IN !~! NEver seen that before–looking to give it a try. Many thanks for the gathering of these great-looking unusual new patterns. 😀 I’m glad you like them! This is an older post, so some of the patterns may no longer be free – the designers sometimes change it at their own discretion. Love your site. I just found CAL 2015 & have been busy downloading all of the patterns. I started on CAL 2014 & was substituting some of the squares on this page. The first pattern – Eight pointed Flower is no longer free. Just thought I would let you know so that you could update this page. Thank you for organizing & sharing all of the patterns. I for one really appreciate it! Hope you have a great new year! Thank you Susan! I updated the post! Happy new year to you too!